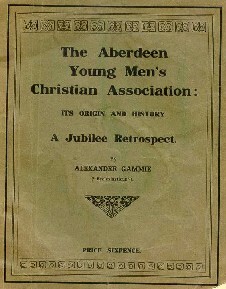 ABERDEEN YMCA's war service during World War 1, the Great War, is not so well documented. The first part of this page (white) presents that information which we have managed to obtain. The second part (grey) presents the wider work of the YMCA internationally. 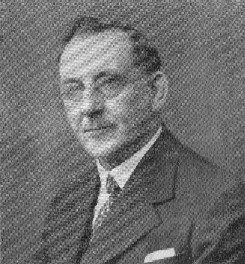 1914 - 1918 Robert Duncan, Aberdeen YMCA General Secretary from 1912 - 1918, was a forward thinking man who successfully led the YMCA throughout the difficult years of World War 1. 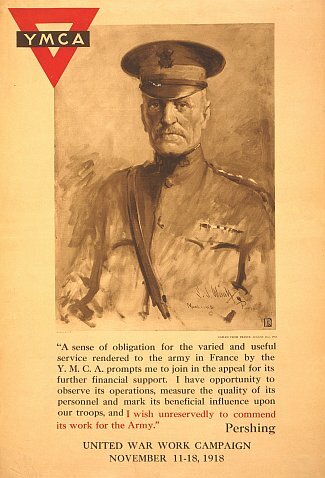 Mr Duncan was a forward thinking visionary who, in 1914, with the outbreak of war led the YMCA forward as it interrupted its usual programme to meet the needs of the large number of Armed Service men stationed in the city. The YMCA institute and halls, at 198 Union Street, opened daily to the armed forces. Service to the soldiers included preparing in excess of 700 meals daily, laundry, postal facilities, savings bank (about £200 weekly), concerts and Christian services. Ladies of the B.W.T.A. ran the canteen daily, under the Convenership of Mrs George Murray, who received the hearty and cordial acknowledgements of the citizens generally. During the Great War, members of the YMCA regularly prayed for the 50,000 Gordon Highlanders from the north-east who served in the regular, territorial and service battalions. Approximately 27,000 were killed or wounded. 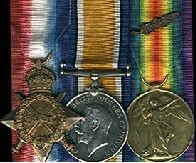 All the fighting Gordons saw action on the Somme. 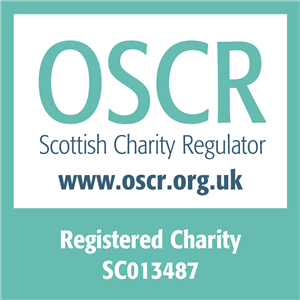 So successful was Mr Duncan's leadership that by the end of the Great War, Mr Duncan had already received an invite from YMCA Scotland to become their Field Secretary which he took up in April 1918. 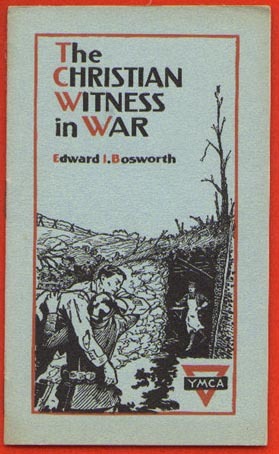 The war time programme was continued for a considerable time after the declaration of peace. 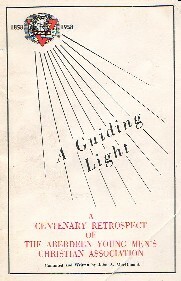 During the period of demobilisation and the visitation to the City of many men from overseas, the adaptation of the programme became necessary to meet changing needs. Hospitality was the chief problem and it soon became obvious that Hostel accommodation had to be provided. Right Hon Robert Munro KC, opening the YMCA's Hostel at 4 Golden Square on 21 August 1918 commented that the war had revealed many precious things which were formerly hidden from eyes. The fires of war had burned up the dross and had left the pure gold, and one thing it had revealed or strongly emphasised was the kindness and humanity of our race. With the many and varied services which rendered to the comfort and and cheer of our soldiers there was no organisation which had been more closely associated with the world conflict than the YMCA. Mr Hughes, the Premier of Australia, in the course of a short address, thanked the citizens of Aberdeen for the kindness and consideration they had shown to the Australian troops, treatment which, he assured them, the soldiers greatly appreciated. 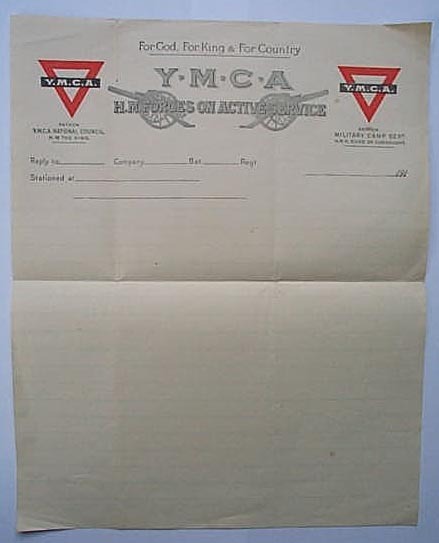 When the official story of the war came to be written there were two symbols imperishably associated with the great world conflict - the Red Triangle of the YMCA and the Red Cross. These two ministries had the world for their parish and broken humanity for their congregation - they had been, as it were, a golden thread running through a world of weeping and suffering, and they had been a lamp which would never be extinguished. The work of the YMCA was the object of a wondering and admiring world. The idea for the Memorial Poppy came to Moina Michael whilst working at the YMCA Overseas War Secretaries' headquarters on a Saturday morning in November 1918, two days before the Armistice was declared at 11 o'clock on 11 November whilst the 25th Conference of the Overseas YMCA War Secretaries was in progress. Reading Punch magazine, she came across the poem In Flanders Fields, written by Canadian Lt Col John McCrae in 1915 at the second Battle of Ypres, which begins: “In Flanders fields the poppies blow, between the crosses, row on row.” Immediately she made a personal pledge to 'keep the faith' and vowed always to wear a red poppy as a sign of rememberance. 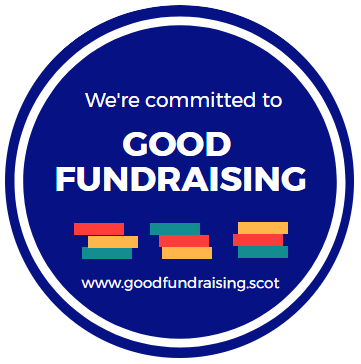 Compelled to make a note of this pledge she hastily scribbled down her own response We Shall Keep The Faith. On the morning of Saturday 9 November 1918 she received $10 from three men at the 25th Conference in appreciation of her efforts in brightening up the headquarters with flowers with which she purchased 25 handmade poppies made by women from the devastated areas of France. At the YMCA Headquarters that evening, delegates from the Conference crowded round her asking for poppies to wear. Keeping one poppy for her coat collar she gave out the rest to enthusiastic delegates. 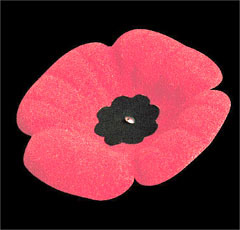 According to Moina, since this was the first group-effort asking for poppies to wear in memory of "all who died in Flanders Fields", and since this group had given her the money with which to buy them, she considered that she had consumated the first sale of Memorial Poppies on 9 November 1918 at a conference of YMCA delegates. Madame Guerin, of the French YMCA, could see something bigger in the concept and campaigned vigorously to have the poppy accepted as the symbol of remembrance. In the aftermath of the Great War, discontent amongst veterans led to the formation of a number of veterans organisations. These merged in 1921 to form The British Legion. That year, the first poppy day collection took place to raise funds to go toward the charitable works of the Legion. By 2000, the volunteers of The Royal British Legion (as it became on its 50th birthday in 1971) sold over 36 million poppies in the weeks before Remembrance Sunday raising £20.1M for the Legion. 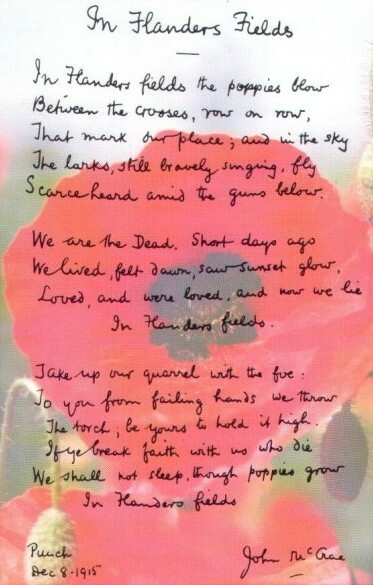 The poppy remains today a symbol of bloody death, remembrance and a defiant rebirth. The humble bloom has come to represent both war and peace, hope and sacrifice. The humble bloom possesses a universality, shared by few other such emblems. 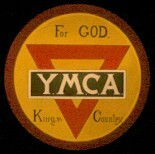 It’s significance has its very origins in the work of the YMCA. This photograph features James Brechin of the 4th Gordon Highlanders holding a YMCA card for the photograph.